Endless running around the green pipes to defeat the evil Team Rocket – oh, the good old days, saving Super Mario was the one thing we lived for. Stumbling across all the green pipes to find coins or conquer evil – well, only if we had the pipes this lucky Mario and his Pokemon friend have. A creative mind just blended two of the most legendary games of all times that sparked rib tickling results. Super Mario and Squirtle banded together to fight the shenanigans of Team Rocket. The hilarious video shows the duo skipping pipe to with no luck in finding the ill-doers. Right when you start pitying your childhood companions, enters the savior. In a crazy twist of events, the pair spots a Finolex pipe, white in colour and reliable in nature the pipe has so much in store for our heroes. The pipes open up a world of possibilities for Mario and Squirtle eventually leading them to Team Rocket. Entertaining us further, enters FIBO, the mascot for Finolex Pipes is seen. FIBO is a helpful chap who gives our folks the powertool to defeat Team Rocket. This very entertaining 50 second video will not let you blink your eye even once and while you soak in all the Mario and Pokemon fun, you’re also left with a taste for FIBO. 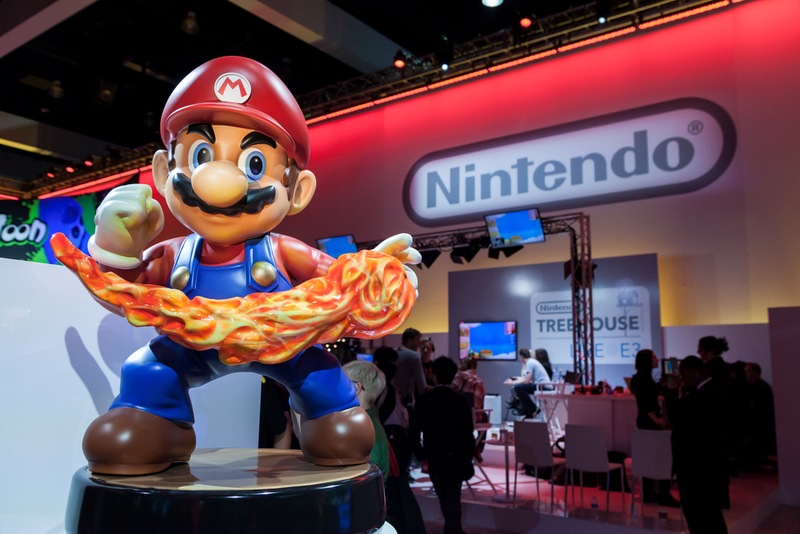 The video smartly draws a subtle parallel between Mario and plumbers who strive so hard to keep our fittings and amenities going and Finolex being their ultimate support system in achieving this. 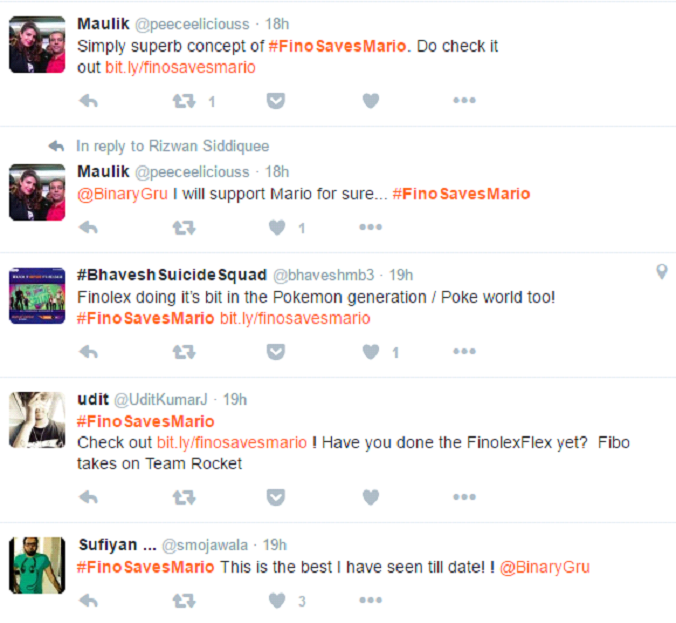 With the mascot FIBO coming to Mario’s rescue, it further adds a human connect to this innovative concept. 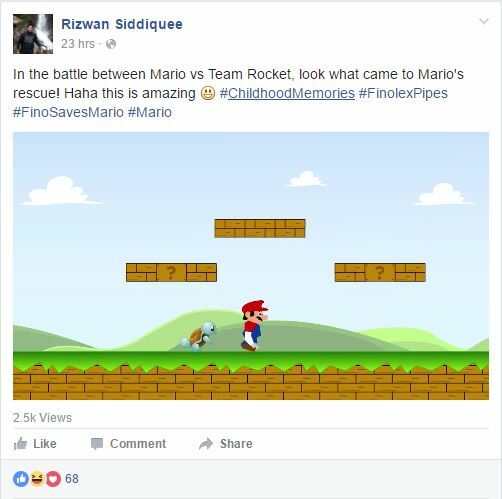 The video has managed to leave social media users in splits, with the socialverse raving about the awesome combo – Super Mario and Pokemon. 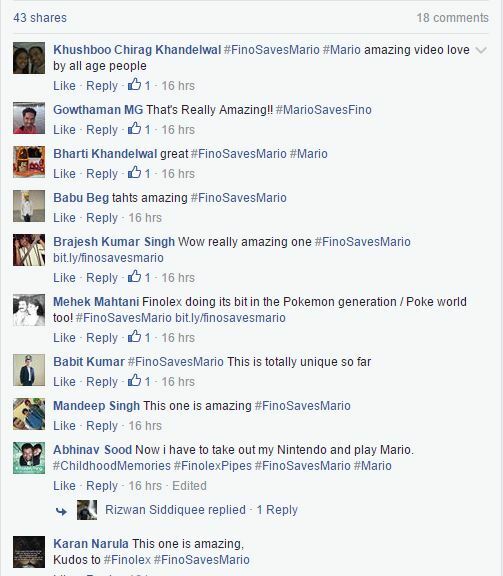 Fans even came up with the hashtag – #FinoSavesMario, creating engagement around the video and the campaign. Mario, Squirtle, and FIBO will definitely etch a smile on your face, compelling you to watch the happy video on loop.